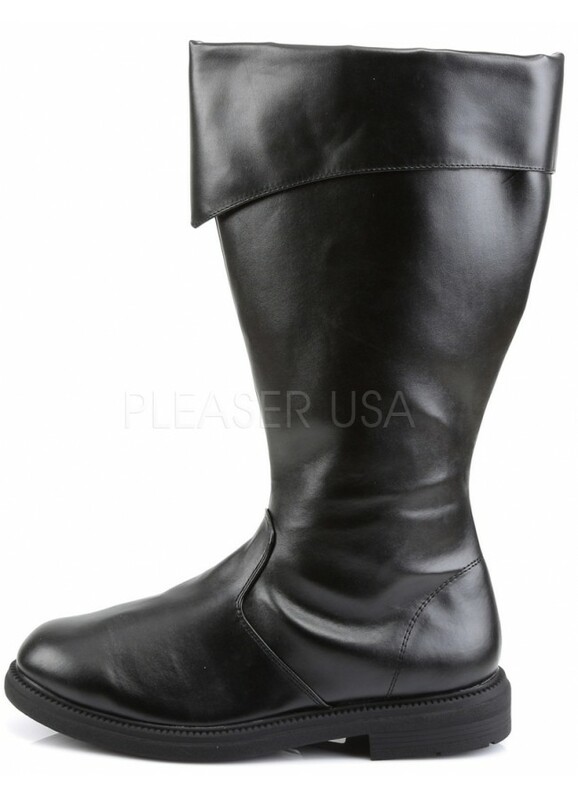 These simple black costume boots are perfect for pirates, Trooper and many other costumes with a fold over top cuff. 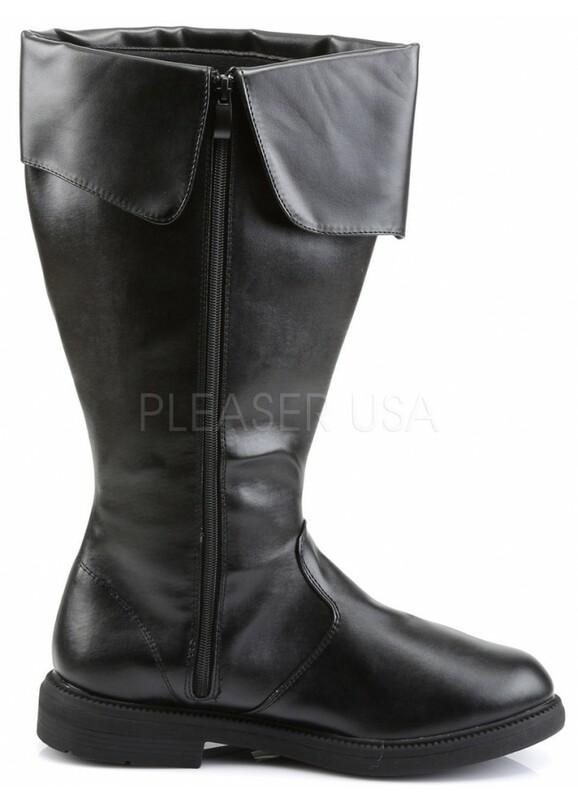 Low, 1 inch square heel boots have a plain shaft and simple fold over cuff detail with full inner zipper. They are the perfect boots for a ton of different costumes for men or women: pirate, space captain, and many, many more. Can actually be worn any time though! Average width. 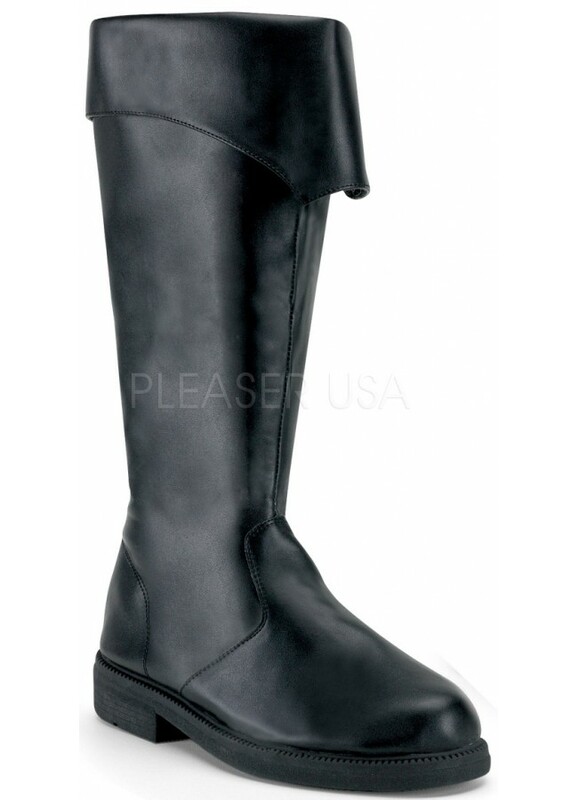 All man-made materials with padded insole and non-skid sole. Item Number: PL-CAPTAIN105/BPU | Approximate Size (Inches): 12.00 wide x 14.00 deep x 8.00 high | Approximate Shipping Weight: 3.00 lbs.